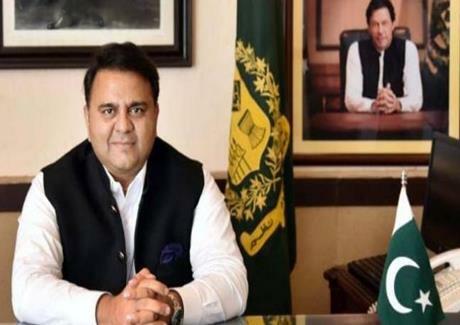 Information Minister Fawad Chaudhary has said Prime Minister Imran Khan’s first visit of China will open up new vistas of prosperity through expanding its exports to China and attracting more Chinese investment in the country. Talking to PTV News, he said the visit will add a new chapter in Sino-Pakistan relations. He said China has always been a close and reliable friend of Pakistan. He said we desire to learn from the experiences and successes of China in different sectors. The Minister said cooperation in agriculture and security realm will be part of discussion with the Chinese leadership. Information Minister said economic and industrial cooperation between Pakistan and China expanded significantly after the establishment of China-Pakistan Economic Corridor. He said enhanced cultural exchanges between China and Pakistan will offer the peoples of two great nations an opportunity to further strengthen the historical and cultural bonds that hold them in a strong affinity. He said during the visit, Prime Minister will discuss the techniques with Chinese leadership, specially in the field of space technology as Pakistan will send a Pakistani in space during the year 2022. The minister said the agreements would transfer space technology to Pakistan and would help the country in the national security arena by strengthening border security and surveillance apparatus. To a question, Fawad Chaudhary said corruption is always a reason that stops a country from achieving its potential. He said China could share with Pakistan its expertise in fighting white-collar crimes, which the PTI-led government is also striving to combat.